Have you ever seen those commercials or advertisements for Edible Arrangements? Basically, they are beautiful flower arrangements you can give people for all sorts of special occasions–except that the flowers are made out of all sorts of fruit! Not only do they look absolutely stunning and fun, but they are delicious and even healthy as well! Well, I have to admit, I’ve had my eye on these for a while now. Not for the fruit flowers, but for the chocolate covered strawberries! 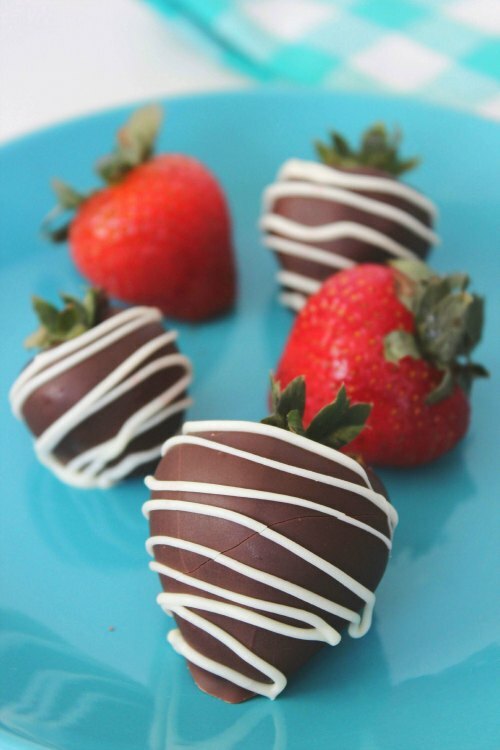 I LOVE chocolate covered strawberries, and every time I see them, I want some for my very own! Unfortunately, chocolate covered strawberries tend to be quite pricey. So instead of buying them–I decided to make my own! 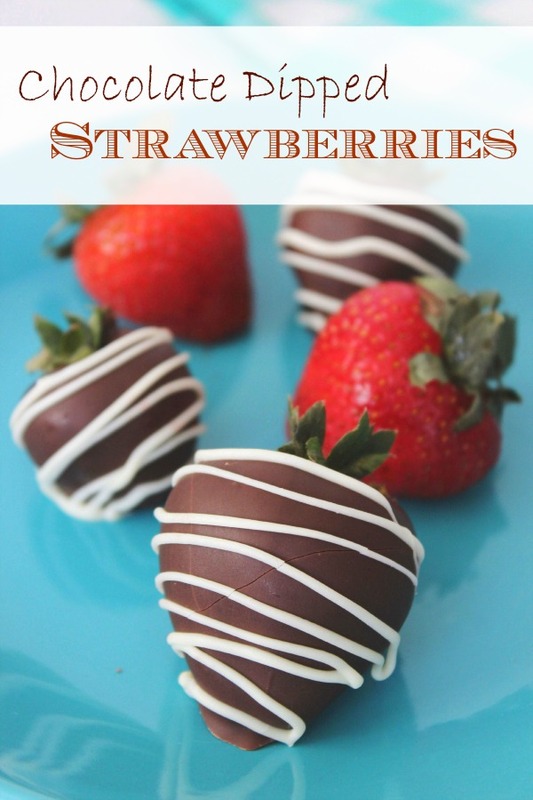 And since I knew you would want to try them too, I figured I’d better teach you how to make chocolate dipped strawberries as well! The process is actually incredibly easy. Just melt the chocolate baking chips (either in the microwave or on the stove), dip the strawberries in the chocolate, allow to cool, and then drizzle the white chocolate over the top as well. Let them chill in the fridge until the chocolate sets and you have your own delicious (and inexpensive!) chocolate covered strawberries in no time at all! If you’re feeling really creative, you can even jazz up your strawberries by adding all kinds of extras. We tried (and highly recommend!) add-ins like sprinkles, nuts, and shredded sweetened coconut. These add-ins really take the flavor to a whole new level if you’re willing to splurge on extra yummy ingredients. One word of caution, however: These do have a fairly short shelf-life. Even in the fridge, the strawberries will only last a few days until they turn mushy. Now, I can’t say that’s a huge problem in our house, because there is no way they would last that long! But if you’re the kind of person who has amazing self-control and wants to savor them slowly, you might not want to wait too long. Otherwise, these are delicious! Enjoy! Clean and dry strawberries and place in freezer for 30 minutes. Melt chocolate by microwaving for 45 seconds, stirring and repeating until smooth and melted. Dip frozen srawberries in chocolate by the leafy stem and roll to coat. Shake off excess and place on prepared sheet. Pace in refigerator for 15 minutes. Place white chocolate chips in a zippered sandwich bag and microwave for 45 seconds to melt, then knead to insure they are fully melted. Clip tiny bit of corner to pipe. Drizzle across strawberries to decorate.